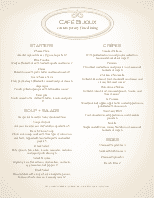 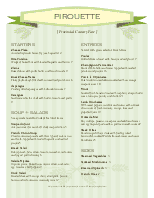 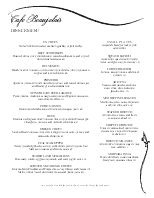 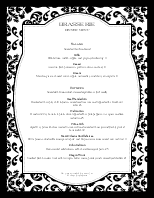 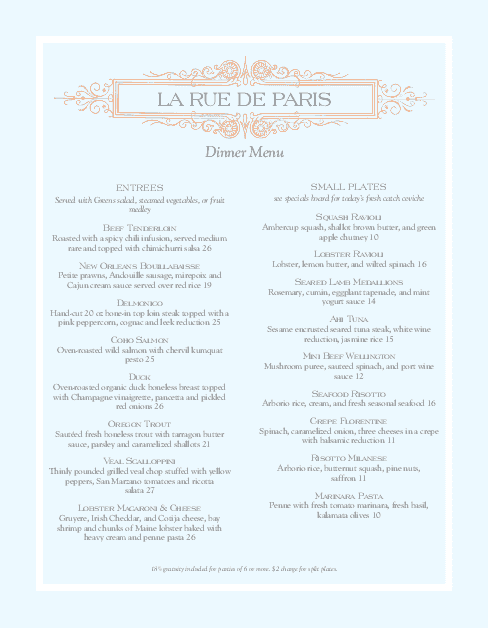 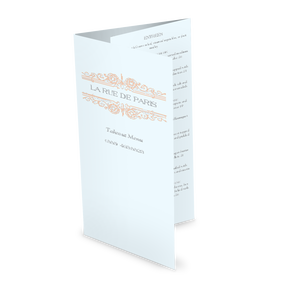 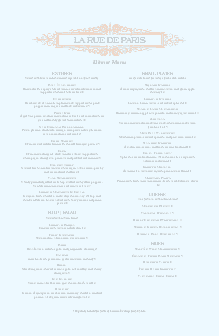 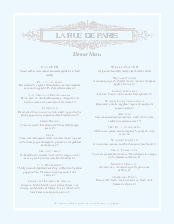 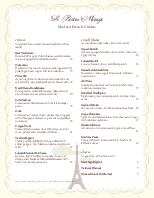 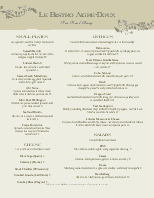 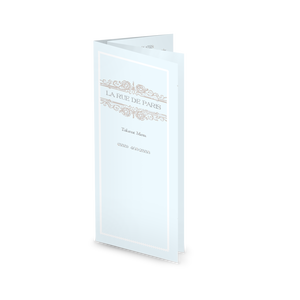 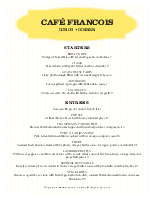 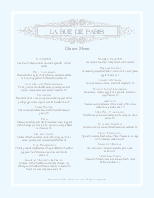 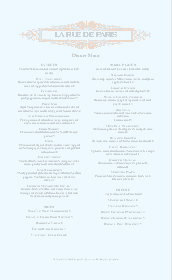 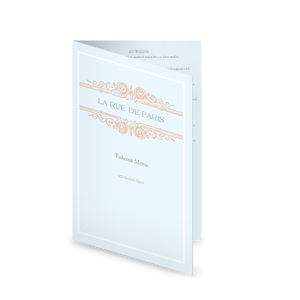 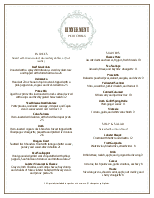 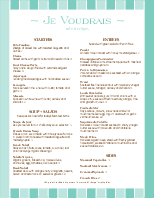 A French menu that is presented on a 8.5 x 11 page with a pale blue background shows off true French style. 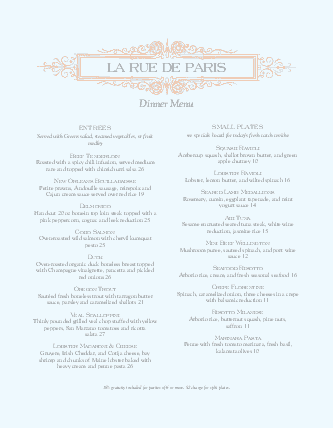 An ornate red emblem containing the restaurant name is displayed on the top of the menu. 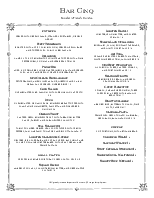 Two columns list the food descriptions. 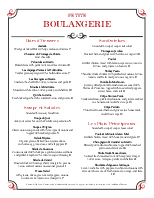 This menu can be updated online using the Menu Editor.